A number of users have asked for a Kenshoo connector. Unfortunately Kenshoo do not currently provide an API, however they are planning to introduce one in the future. 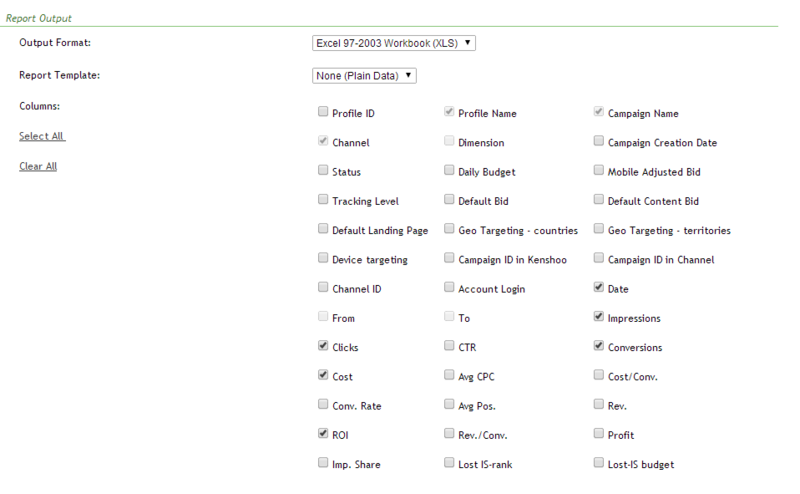 - An option to select the Agency/Branch/Client/Advertiser. - Optional filtering by Action tag/Media plan/Buy/Cost package/Placement. - An option to select the date range. Any information you provide will be forwarded to Kenshoo and will also be used when the connector is developed. I have taken a few screengrabs of the features that are available in the Kenshoo report builder so you have an idea of the parameters that are required for the Kenshoo connector. The screengrabs are attached. 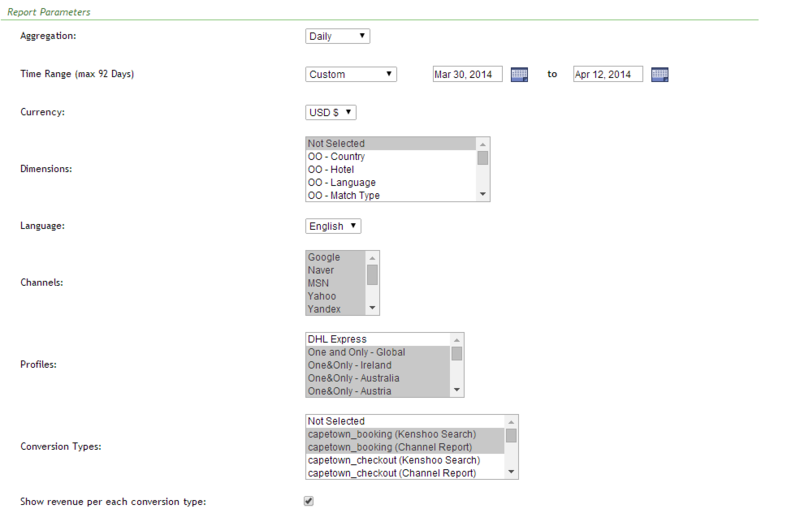 The report Output section is for column selections based on the report template that has been selected at the start. In this case the report template is called Fusion: Campaign and this is what we use for our client. However there are other report templates available in Kenshoo for example for Keywords level data, or by devices etc.. and each of these templates gives the possibility to select different columns. Is there a timeframe for this API yet? Please see the first post in this thread. We will check with Kenshoo if things changed on their end... If you have any news - please let us know.